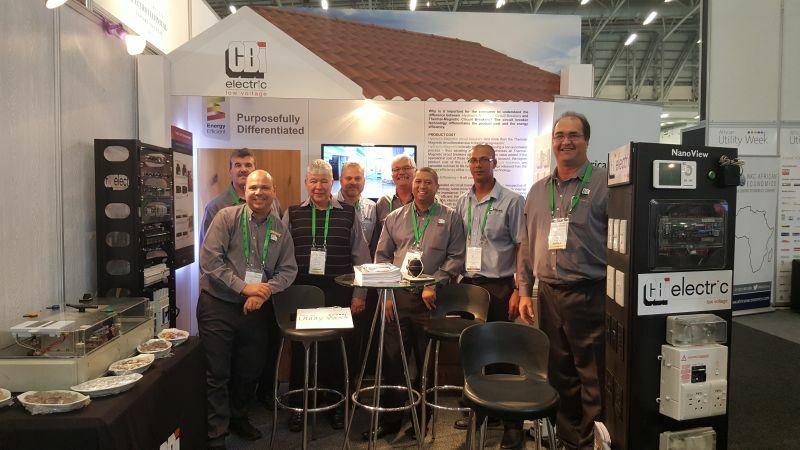 CBI-electric had much to showcase at African Utility Week this year, with the launch of their new NanoView Energy and Water Monitor, USB Socket Outlet as well as showcasing their comprehensive range of DC products. The newly launched CBI-electric NanoView allows both household as well as commercial consumers to easily manage their electricity and water usage. By displaying live data in both monetary and consumption terms (i.e. energy in W and kW; and Water in litres and kilolitres) the user can quickly determine which appliances not only use more energy, but also which appliance cost the most to operate. With this data on hand the customer can now make energy wise decisions. The cumulative usage mode on the Monitor displays consumption for the past day, week or month and is a great tool to manage budgets and evaluate progress in achieving a greener lifestyle. CBI-electric’s new aesthetically pleasing USB Socket Outlet is a standard 240V AC Euro socket outlet with a Standard SA Socket Outlet and two integral USB Ports. In addition to the option of 2 complementary plug sockets it has 2 integral USB ports. Charl Osborne, CBI-electric’s Commercial Executive states, “CBI is continually looking to develop new products and solutions that meet the needs of our customers. With the introduction of this product range customers no longer require a USB adapter, they can plug right into the wall socket outlet to charge their electronic devices”. With the introduction of renewable energy into the main stream market and the drive for higher data performance of systems, companies are looking to push the boundaries of how DC can be applied. With all of the advances in DC usage, dedicated DC protection equipment is essential to ensure the safety of systems, equipment and people. CBI-electric has a comprehensive range of DC Miniature Circuit Breakers (MCBs), DC Moulded Case Circuit Breakers (MCCBs) as well as a range of Accessories suitable for providing protection for any DC system. Data centres have traditionally been operated at Low Voltage DC. However, with the increased data traffic around the world, the advantages of using higher DC voltages is being realised. It can reduce the hardware in the system, but at the same time increase the energy throughput, thus aiding in the volume of data that can be transferred between locations. CBI-electric offers solutions-driven customer support, both locally and internationally, providing peace of mind through exceptional service and support through an extensive network of branches and authenticated wholesalers and dealerships. 24/7/365 support is provided via their customer hotline.